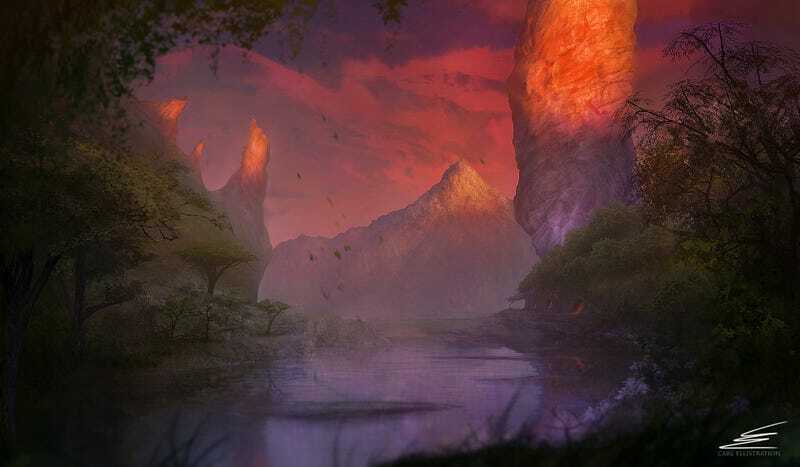 In this gorgeous concept art, Karl Ellis gives us a peek at a world that is almost like Earth, but not quite. At the base of that gravity-defying rock column, you can see the glowing cave mouths where someone is settling in for a peaceful evening. Ellis is a freelance concept artist in the UK. See more of his luminous work on ArtStation.